Because web type renders differently with only subtle CSS adjustments, seeing it exercised in a variety of ways can help web designers typeset – and also help them decide which typefaces to purchase for their projects. 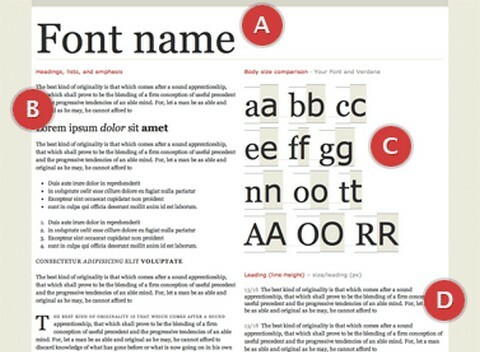 Therefore, Tim Brown has designed Web Font Specimen, which presents real web type in real web context, and released it under a Creative Commons license for the betterment of typographic style and practice. This is really nice, thank you.